Last year, X-Men fans finally got the Deadpool movie they had been waiting for. Now after multiple failed attempts, 20th Century Fox has finally produced the standalone Wolverine movie audiences have always wanted to see. Logan couldn’t have come at a better time, especially since this will be Hugh Jackman’s final appearance as the titular hero. Wolverine made Jackman a household name back in the early 2000s. After almost 17 years, it’s hard to imagine anyone else playing the character. Yet, Logan offers an appropriate exit for Jackman, sending off his interpretation of Wolverine on just the right note. The tone of Logan is unlike any of the previous X-Men films. Instead of focusing on a team of mutants trying to save the world, we follow a small group that’s simply trying to survive. Set in 2029, Wolverine is a broken down old man that can barely break out the retractable claws. When push comes to shove, though, he can still rip a gang of thugs to shreds. Mutants have seemingly gone extinct. Wolverine tries to preserve what’s left of his kind, hiding out in the desert with a senile Charles Xavier (Patrick Stewart) and an albino mutant named Caliban (Stephen Merchant). Although Wolverine has virtually lost all hope, he’s given a reason to keep going with the arrival of a young mutant named Laura (Dafne Keen). Calling Eleven from Stranger Things to mind, Laura is a girl of few words, but can take down foot soldiers without breaking a sweat. On the run from a bunch of baddies, Wolverine, Charles, and Laura set out on a journey to salvation. Their post-apocalyptic road trip calls to mind many iconic video games, such as The Last of Us and Telltale’s The Walking Dead. In the same vein as those titles, there’s a constant sense of dread throughout Logan. In the previous films, these characters seemed invincible. Even when they died, you knew they could always come back. Here, however, the characters are all barely hanging on by a thread. The result is the most human X-Men movie to date, as well as the most grounded. The action sequences in this franchise have gotten pretty cartoony over the years. 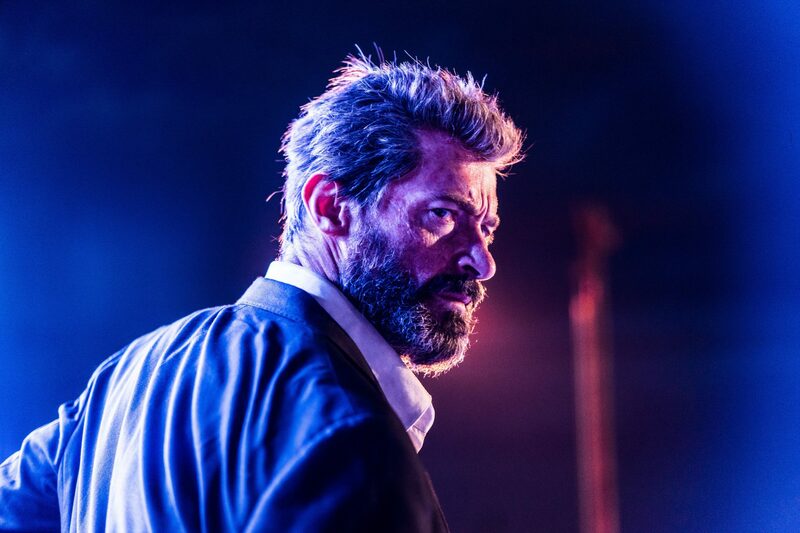 Instead of epic battles overflowing with CGI, Logan feels more like a knife fight in the streets. When a character gets stabbed and killed here, it leaves a lasting impression. Pulling no punches, the film earns its R rating without becoming gratuitous. The violence and swearing actually add to the story rather than just being edgy for the sake of being edgy. In many respects, Logan is everything Batman v Superman was trying to be. It’s dark and gritty, but also puts emphasis on characters we care about. It also doesn’t burden the audience with an excessive runtime or countless cameos. Does this mean that Logan is the best X-Men movie ever? Well, it comes close, but the narrative loses some of its drive in the third act. Without spoiling anything, Wolverine eventually meets his match, which does make leeway for a couple cool fight scenes. However, this is also where the film gets a tad too ridiculous and silly. It’s a lot like the original Iron Man where the first two thirds are great and the finale is just pretty good. Even when Logan lags, though, the audience remains invested. That’s because we truly identify with these characters, their relationships, and their inner struggles. Jackman in particular gives one of his most emotional performances, capturing the spirit of an old man trying to redeem himself. Like Ryan Reynolds in Deadpool, this is a performance that stands little chance at scoring an Oscar nomination, but really deserves to be in contention. At least Jackman can take solace in the fact that he’s done this character justice and has forever left his mark on the superhero genre. This entry was posted in Reviews and tagged Action, Drama, Sci-Fi on February 17, 2017 by Nick Spake.